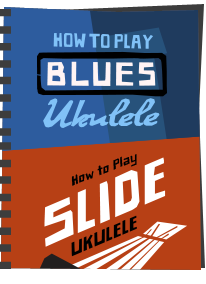 Recently I re shared the list of ten things for ukulele players that sits at the top of my Beginners Tips page HERE. And something strange happened. One entry on that list seemed to cause the most consternation with ukulele fans. 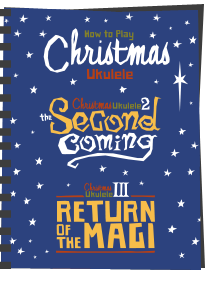 The one at number 8, in which I say that the ukulele is not magical - the music is. 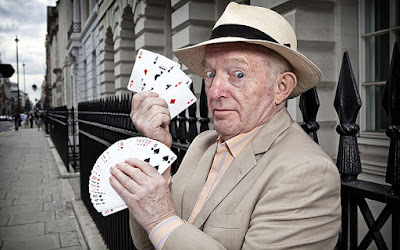 OK, permit me the image of a magician (for those in the USA not knowing this guy, I have something more US centric below!) - but I've seen people genuinely taking issue with the statement. Claiming that the ukulele is indeed the instrument that has special powers, that has 'that certain something'. Really? I still contend that what is actually moving you is the fact that you are making music. I'm no scientist but I am fairly sure that it is well proven that even listening to music affects the brain in positive ways. Surely that happiness you are feeling is from the music not the tool with which you use to make the music? Before I picked up the ukulele about ten years ago, I had been playing the guitar (badly) for about 20 years before that. And I loved it. I still do. I picked up the ukulele and I love that too. You see it's acceptable to like both. I play a bit of piano, terribly, but when I tinker with one occasionally something drops out that uplifts me and makes me smile. To suggest that the ukulele is 'the only one' the 'magical one' that really brings the most pleasure would be suggesting to me that the 20 years I had previous with guitar were not really up to matching it. And they were. I enjoy the guitar immensely. It's the music I have enjoyed. Of course a common response to my statement was 'but it is magical to me'. A statement that is, on the face of it somewhat hard to challenge because it is so personal. And I'm happy it makes you feel that way, but who is to say that there is not another instrument out there that may do the same thing for you? Let's look at it another way. If you think that the ukulele is the absolute key to magical musical happiness, then think of an instrument that you have never even played in your life. Be it a violin, a trumpet, a harp, a flugelhorn, anything really. Those instruments also have their players that love them dearly and there must be a reason for that.. Because they bring them pleasure. They think they are magic too!. It is also completely impossible for you to know (having never played one) whether you would get as much enjoyment from them, or even more, than you do from the ukulele. It's entirely possible because it is the MUSIC you are experiencing. And if the ukulele is really the answer to all things 'happy' and 'magical' in the world of music, then why isn't every single musician on the planet playing one? Here's the reality check - they aren't. In fact the ukulele is still by far a minority instrument worldwide. Despite a boom in sales, I think you will find that more people by a large margin play the guitar. Please don't get me wrong, I love the ukulele. I think it is accessible, portable and huge amounts of fun. Heck, I have spent the last few years of my life dedicated to this website and not one about flugelhorns or violins for a reason. It's a great instrument. But please don't mistake the 'fun' of the 'community' or the relative 'ease of play' (or even the relatively low costs involved in getting started on the instrument) as reasons to suggest it is some sort of magic wand that no other instrument can match. To do so would be to suggest that everyone on the planet who takes pleasure from the guitar, the piano, the violin is in some way missing out or is sub-standard. Frankly I think that smacks of tribalism and is not a particularly nice trait. In fact, that is exactly why I titled this piece 'The Magic Ukulele Problem'. I think it is a passion that actually gets taken too seriously and too far at times. And as a person who plays a few instruments and frequents discussions that are not ukulele centric, I do sometimes find myself looking at the ukulele community and thinking.. well... that it's a bit kooky. Sorry. But I do. Nor, of course am I saying that the ukulele is a lesser instrument and I am not writing this as a means of dumbing it down. I am however writing this as a means of trying to calm the evangelical nature of ukulele passions down a little for a very simple reason. The ukulele, like so many other devices invented by mankind for the purpose, is a tool. A tool with which to make music. Some people choose only one tool in their lifetime and get pleasure from it. It may be the ukulele, it may not. Some choose several and take pleasure from them all in different ways. It's all good! Passion for any hobby is a great thing. It's perfectly understandable and quite uplifting to note in itself. But let's be realising about things? At risk of repeating myself, it is actually the music that is uplifting you and making you happy, content and pleased. Be proud of that. It's a wonderful thing you are part of and if you choose the ukulele to gain that happiness, I am immensely thrilled for you. Just bear in mind I get immensely thrilled by people who are passionate and take pleasure from other instruments too. That's because my immense passion lies with music. In all its forms. Keep playing - whatever device you choose! Well worth taking the above on board, practice more and the more magic will appear in the sound! Very interesting perspective. 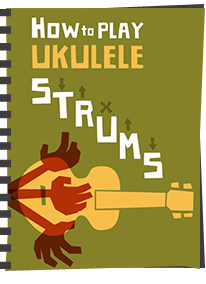 Since you are a prominent figure in writing about ukuleles, you probably get a completely different viewpoint than us who digest your words as well as others. I haven't run into any die-hard fans as you mentioned in your article, because i'm not constantly producing content and getting different community perspective. Don't let the "kooky" ones dissuade your involvement to this amazing website. Cheers. Well it is something I hear quite a lot, but seemed to show a resurgence when I shared the image I referred to in the first paragraph. I am sure that on the whole it comes purely from a passion, but I noted some people arguing the case quite forcefully. It didn't dissuade me - rather persuaded me to think a little more about the concept. Whichever way I looked at it, I came to the same conclusion. Music is the thing that has a magical effect and I think that is wonderful. The ukulele is just the tool of delivery! I have guitars and love playing them. But since buying a ukulele at Christmas I haven't put it down. I brought my second, a bruko, in April and have ordered a custom Bruko for Christmas. I never played my guitar as much but not because I don't enjoy it just as much. Is it because it's magical? I doubt it. I think it's more to do with how portable it is. It's always out and I can't walk past it without picking it up. So, I'm playing music more and getting better quicker because it's so accessible. And I love being able to play music. So it follows that for me, a portable, accessible instrument that doesn't annoy my partner being left out all the time means that I play more music which makes me happy. There are zealous converts in every hobby. I used to fly stunt kites - lots of discussion of how it was magical, how it just makes you happy, etc. I used to be into cycling - many cyclists talk about the high, how long rides could magically make you happy, etc. When people are excited about their thing, they tend to hyperbolize, and with time most get over it. No need to see that as a "problem." Linus - not even a problem when ukulele players get evangelical to the point of dumbing down all other instruments as not being up to par? If only they just kept it to just being 'excited'. Try posting a picture of a guitar in a ukulele group.. I think part of it is that many people drawn to the uke were the ones who were told they 'weren't musical' back in school. The ukulele, through its accessability, proves that is a lie to the person, and that is magical to the person.. but it gets put on the instrument, rather than the person themselves. Man, I'd totally read 'Got a Flugelhorn'. I cannot agree with your views, Barry. I have never used the word 'magical' in connection with the ukulele, but there is something special about that little instrument that evokes strong emotional responses in people (via my observation of other people and myself). Those people are just vocalisiing their feelings of joy rather than expressing a dogma. I played in a brass band for 7 years until I gave it up to go to university. I reached the level of solo B flat cornet, and also played Soprano E flat cornet and B flat flugelhorn. I loved my time in the brass band, the music I made, the variety of music and the camaraderie of playing with others. But I never had an emotional connection with my only cornet (a very high quality 'Besson') like I have for several ukes. 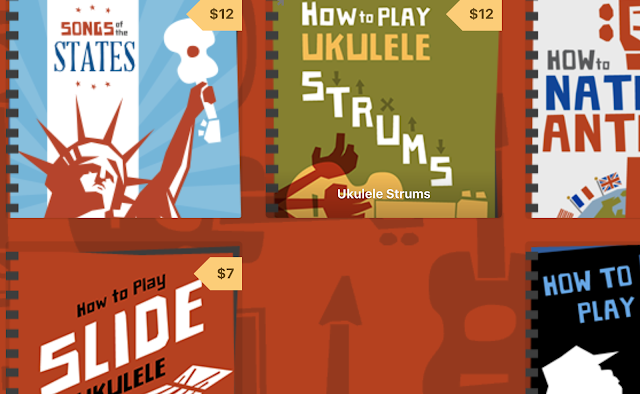 The fact that the Ukulele Acquisition Syndrome does exist must indicate something. Maybe it's the appearance of this (what can be a) beautiful and diminutive form that you hold it close to your chest (don't laugh, perhaps there is a physical bond!) unlike a cornet that you spit into! Maybe because it brings people together from all over the world that encourages us to elevate its platform in our minds. But don't knock it because that perception really exists! And you know what they say: "the truth is negotiable but perception isn't". It's not just about making music with the ukulele as a tool. And that's where we differ. Not everybody has this biased emotional feeling towards the ukulele and obviously you do not, although you are dedicated to the subject of the ukulele. Because you do not doesn't mean to say the uke is not (maybe irrationally) loved on a personal, local, regional, national and international level and appears 'magical' to many. Unlike the cornet or flugelhorn. Long live the ukulele. My basic point is always the same though Bern - that it is not unique to ukuleles - you mention UAS existing - for 20 years before I even picked up a ukulele I played guitar. Still do - believe me - the acquisition syndrome is even stronger with that instrument! So therefore as all instruments have their 'fans' that make them act in a similar way, there must be something common between them. Surely that is the music. That's the magic bit. What is bizarre are people who claim that the ukulele has some kind of 'founders rights' on making people happy and evangelical. I think you can say that about most instruments. OK. It's OK to differ in our views. But,with respect, aren't you pandering to this irrational homage when you produce a T shirt that says "I've got a Ukulele, have uou? 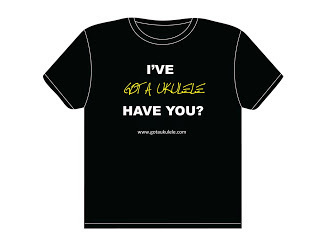 etc.." or your "Got a Ukulele" badge? I never had or wanted a ''I've got a Cornet, have you?". 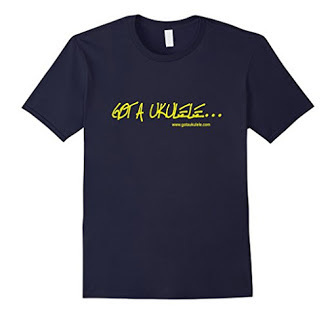 You may not be supportive of the elevated status of the uke above other instruments, but you're certainly a beneficiary! No you are missing my point - I LIKE the ukulele. I would go further - I LOVE the ukulele. But above all I LIKE and LOVE music! One thing I would never do is sanction a view that one musical instrument is 'better' or 'more magical' than any other. This is a ukulele site - I chose a subject I love to write about - but I actually spend almost as much time for my own pleasure on guitars sites. My point is - they are ALL magical and enjoyable and fun. This site does not try to steer people on to one single instrument, quite the opposite. 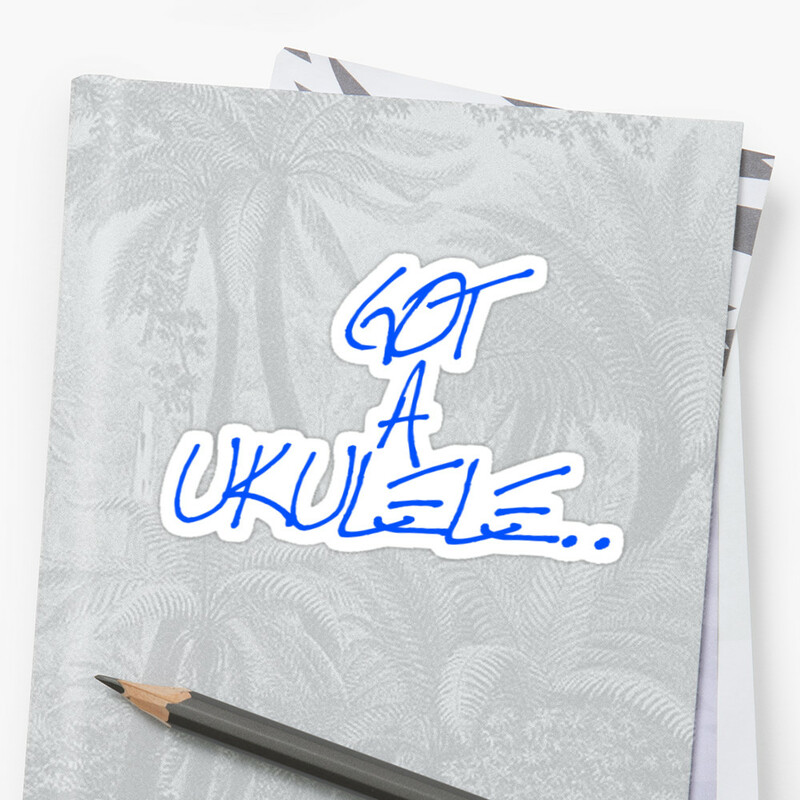 But it is ukulele centred, so as such for it to work as a blog it naturally needs to focus on that. I once posted something about Mandolins on here and ended up with a load of hate mail! - I now understand that people like their websites to concentrate on what they like. That's fine. But I think it's also healthy to fly a flag for music more generally - the whole point of this post. As for the T shirt - yes - I wear that one - I also wear T shirts that big up guitars. It's just a shirt. As for the badge - well - that's just the name of the website.. I AM supportive of the elevated status of the ukulele - I support elevating ANY instrument. I just don't support elevation to the point of it being elevated higher than any other. Hey Barry, I hope you're doing well. Iam of the view that the ukulele and all other instruments used for making music are magical. This magic has little to do with the player. It is the effect one has on the listener. I have been amazed over the years at the number of people who go gaga over the music I make. Quite frankly Iam good enough for folk music and that is about it. My playing regardless of its musicianship also has inspired many others to take up an instrument and play; usually the instrument I was playing when first heard. These qualities that enable others to enjoy and get into the the practice of music is truly magical. I would also suggest that the ukulele has one inherent magical property of its own. Because of its light weight and small size it extends the length of time in one's life when music making is available. I know quite a few people who gave up playing musical instruments for reasons of disabilty, mostly due to age that have returned to music specifically because the ukulele entered their lives. Mahalo!